Clean snow peas and halve horizontally. Place on serving dish. Chop olives, capers, garlic, onion, parsley and anchovy, mixing with red wine vinegar and lemon zest to taste. 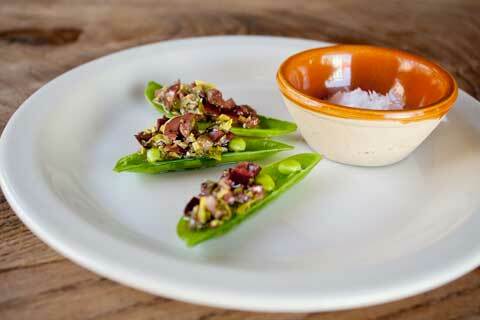 Serve olive tapenade in snow pea boats.